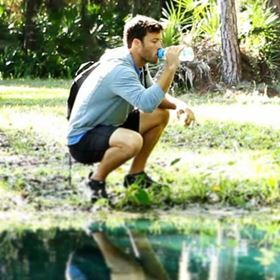 The Fit Bottle can be used to ensure that water is fit for drinking during outdoor activities such as hiking. The company says that its Activ-Flo surface is made up of tiny pores that emit positive charges and attract negative charged contaminants of bacteria, viruses and protozoa. In addition, it does not lose any surface area to block harmful contaminants. Fit Bottle is claimed to eliminate up to 99% of bacteria, viruses and harmful chemicals. Blake Gratton says that these results have been substantiated by certified laboratories. According to the company, the Fit Bottle can provide safe drinking water in many different situations. It can be used for outdoor activities such as hiking, camping or swimming. Alternatively it can be used anywhere in the world to ensure that all tap water is fit for drinking. The company adds that the technology can also assist in the reduction of waterborne diseases in the developing world. Filtration specialist Bowman Stor has re-launched its SEPURA™ range of separators.